3D ERT is an appropriate tomography modality to non-invasively measure the progress of crystallization in a batch reactor volume. The PhD candidate shall develop new generation of 3D ERT sensor that meets the requirements of batch processes (e. g. electrode immersion, large tank size, 3D measurement) and achieves maximum spatial resolution for monitoring and diagnosis of batch crystallization processes. This comprises formulation of a concept to compensate for temperature sensitivity. Special focus will be given to the development, implementation and configuration algorithms for fast volumetric quantification of crystal size distribution and solids concentrations. Finally, the expected result is to control actuators using ERT data in a feedback loop. The work includes fundamental scientific analyses, engineering design and technical demonstration together with groups in Lappeenranta and different industry partners. 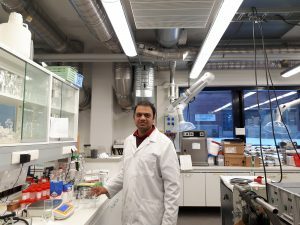 The PhD candidate will realise secondments of a few months for technical and scientific training at Sulzer AG (Switzerland), Chalmers University of Technology (Sweden), Technical University of Liberec (Czech Republic) and Lappeenranta University of Technology (Finland). Selection of appropriate ERT/ECT sensor type to visualise the batch crystallization with best spatial resolution and obtain the representative information of the intermediate chemical processes. Design of a 3D sensor topology and sensor placement technique. Selection of batch reactor structure, design and built of measurement setup. Development / Implementation of fast 3-D reconstruction algorithms using ERT techniques for real time monitoring of sugar crystallization process, evaluation of crystal size distributions and solid concentration. Developing an evaluation procedure for sugar crystal size quantification and crystallization progress assessment. Comparison of the measurement accuracy using a reference method. Comparison of the CFD modelling results with ERT measurement.